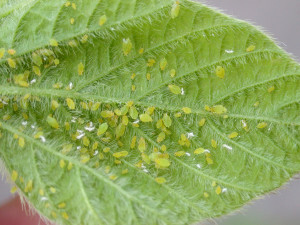 Aphids are a plant damaging bug that occur year round. They are the most common of the plant damaging bugs. Most of there damage is actually caused by the viruses they spread from plant to plant. 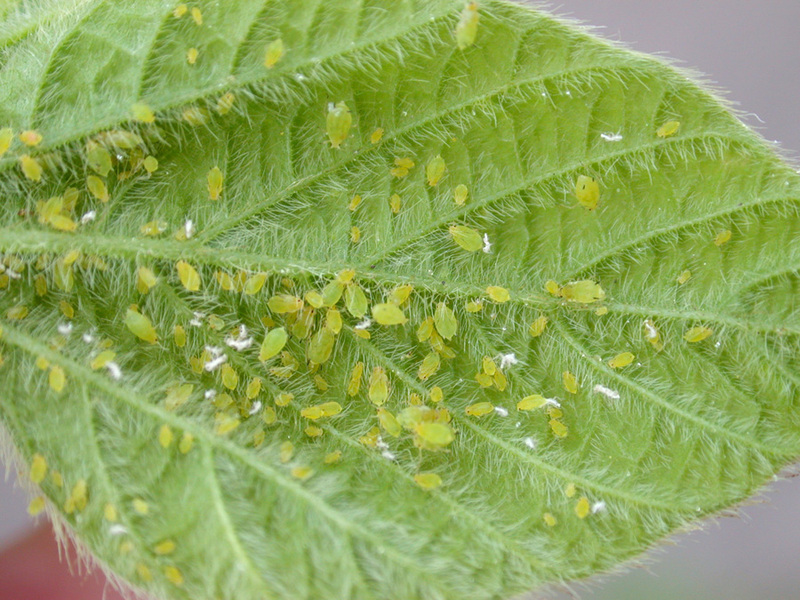 Aphids can be a variety of different colors but are very tiny only about 1/8″ long with a pear shaped body. They are a pierce sucking bug so thats how they cause damage to plants. When feeding they excrete honey dew on the plant which leaves behind what we see as a shiny or glossy substance on the plant. If quickly detected the best thing to do is just trim the plant and dispose of the waste or if infestation occurs they need to be treated with an insecticide. There damage leaves behind a black sooty mold on the plant, which after being treated will weather away. If you notice this on your landscaping please feel free and give us a call to come out and treat them accordingly.